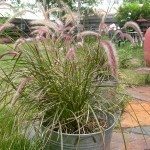 Why won't my fountain grass grow back? I cut it back about six inches from the ground. 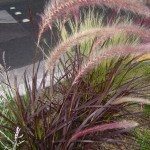 This has been a common question for us this spring here at Gardening Know How. It would appear that this past harsh winter was very hard on the perennial grasses. Pull back the dried grass and see if any green shoots are appearing. Can you pull the existing cut stems out from the crown easily? If it pulls up easily with not resistance the plant may have died. In this case just discard and replant. If you feel resistance, I would still have a wait and see approach if you have patience for that. I always remind gardeners that a plant loss means a new gardening opportunity!